If you a frequent visitor to my blog, or follow me on social media, you will know that, as well as a passion for fashion, I am a shoe lover. What can I say? I love my heels! As we move into spring summer my recent footwear purchases have been peep-toe booties and barely-there heels. After months of having your toes covered, they are now desperate to be uncovered. 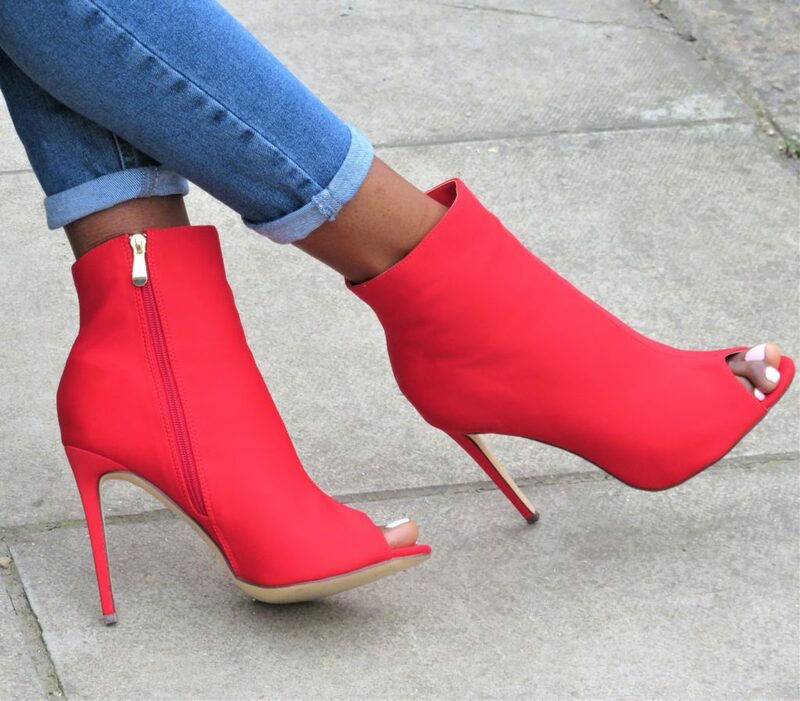 In this transitional period of temperatures peep-toe booties, are my go to because you have your toes out while keeping your feet covered. Barely-there heels are a ‘fave’ of mine – always will be and I have many in assorted styles and colours. In this transitional period, they are great worn with jeans/trousers or worn with fishnet socks (very on trend) with a skirt. I am not sure you can ever have too much footwear in your shoedrobe. I think it is only too much when you don’t wear them, and you store them for special occasions. The art is not to save them but wear them anywhere and everywhere, even if you are just going to the supermarket, do it in style.